The Health Cyberinfrastructure (CI) Division of the San Diego Supercomputer Center (SDSC) at the University of California San Diego has partnered with the University of Rhode Island (URI) to provide an environment to protect a variety of data for researchers and PIs across the URI campus. Initially, SDSC’s Health CI Division will work with URI to protect Controlled Unclassified Information (CUI) by using the Division’s Sherlock Cloud CUI-compliant environment. As the partnership matures, the Health CI Division anticipates broadening the protected data portfolio within its Sherlock Cloud to include other forms of sensitive data. CUI is non-classified information that is shared by the federal government with a non-federal entity, and requires security protections when processed, stored, transmitted, and used in non-federal information systems. Protection of CUI has increasingly become a requirement on many federal grants and contracts. “We are excited about this opportunity to partner with URI, and while the Health CI’s initial support will focus on CUI, we anticipate extending this partnership to include research projects that involve HIPAA data or any sensitive data requiring specialized security and systems protections,” said Sandeep Chandra, executive director of Sherlock Cloud. “Providing research computing services in the cloud allows our staff to focus on direct support of research teams on campus - instead of worrying about the hardware, they can focus on mapping research problems to computational models. Our bi-coastal partnership with UC San Diego supports this shift of focus by providing secure data storage for our research teams. We are thrilled to partner with them, and look forward to continuing to develop research computing as a service nationally, all facilitated by Internet 2”, said Karlis Kaugars, CIO at the University of Rhode Island. SDSC’s Health CI Division specializes in protecting various types of sensitive data. As the Division’s secure Cloud services are offered on premise through its Sherlock Cloud at SDSC as well as via Amazon Web Services (AWS), URI is looking to capitalize on this expertise and leverage Sherlock’s secure Cloud hosting service offerings in support of the wide range of researcher-led projects and use cases, according to Chandra. SDSC’s Health Cyberinfrastructure Division focuses on providing innovative, secure information technology and data services for academia, and state and federal government agencies. It is an SDSC Center of Excellence for secure HIPAA- and FISMA-compliant managed cloud hosting, and recently added NIST CUI- and CSF-compliant managed cloud hosting to its offerings. 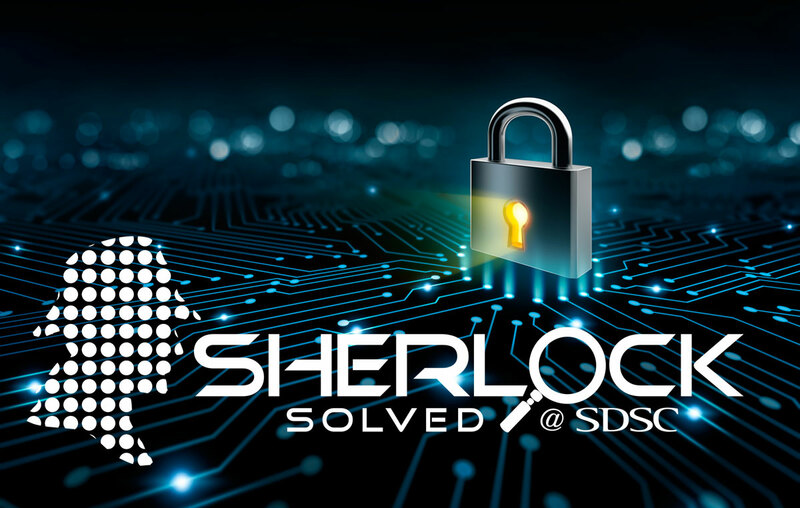 Launched under the brand Sherlock, its major services – Cloud, Compliance, Cybersecurity, and Data Lab – provide a secure foundation for a wide range of research and data collection initiatives. The Health CI Division supports a variety of entities including the Centers for Medicare and Medicaid Services (CMS), National Institutes of Health (NIH), and University of California Systems. For more information please visit the Sherlock website.